I’ve been wearing eyeglasses since I was 12 years old. My eyesight seemed to deterioriate overnight and suddenly I was having trouble reading the chalkboard in school. My mom took me to the optometrist who then determined that I needed glasses like yesterday! This all took place at the beginning of grade 6 and I have been wearing them ever since. 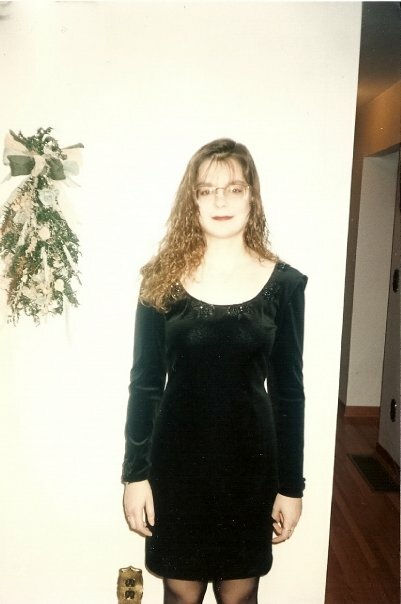 This is a picture of me in grade 10- take note of the huge pair of stylish glasses! When I look back at my prescription glasses worn over the years, I often wonder what in the heck I was thinking picking out glasses like that!! 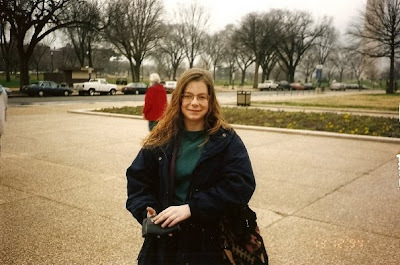 In the early 90s, the lenses were still quite large compared todays and some of the glasses I wore went half way down my cheek! 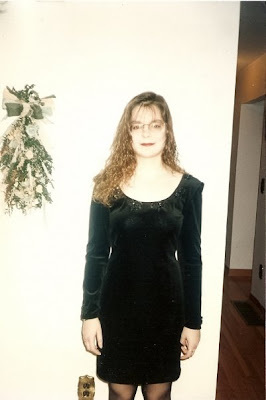 I remember wishing that I didn’t have to wear them because I thought they made me look geeky and I was worried that none of the boys would like me. I laugh when I think about it because it seems like such a silly thing to worry about compared to what I am dealing with now! Here’s a picture of me from grade 11- again with those rockin’ big glasses. In the past I have bought glasses at the optometrist’s office or at a eyeglasses store. I used to wear contact lenses just so I could see what I looked like in them. However, the last time I went was with my mom and sister and I didn’t have any contacts. So I would try on the glasses and show my mom and sister. Then my sister would try them on so I could see what they looked like on (we have similar faces). It was quite funny actually! I need a new pair again, but this time I am considering buying glasses online. I know what frames suit my face so this would save me a trip to the mall or the eye doctor. My glasses are my eyes so they are a very important part of me! Disclosure: This a sponsored post of which I received monetary compensation.